This is a great opportunity to check out an authentic Japanese tradition and try some mochi if you have never tasted it before. 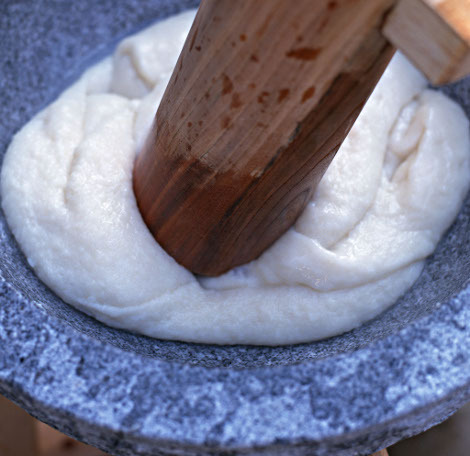 We will also be giving out some free samples of amazake, a sweet, low-alcohol type of sake. Be sure to join us for a chance to get a taste! When: Starting at 12PM on Sunday 2nd January 2011. Posted in Food and tagged mochi, mochi pounding, new year. Bookmark the permalink.